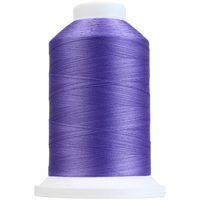 King Tut Thread is the gold standard of quilting thread. It's composed of extra-long staple egyption cotton, making it virtually lint free. When sewing with King Tut Thread, you'll be amazed at it's lack of memory, thereby resisting unwanted tangling and knotting. 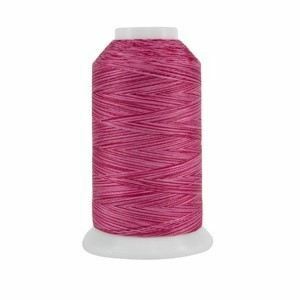 King Tut Thread is available in over one hundred different colors. Each two thousand yard spool is variegated in precisely one inch increments. 40wt, 3 ply. Perfect for quilting by hand and on both home sewing machine and long arm quilting machines.